Staples ® was really on to something when they changed their marketing to reflect a concept that millions of us could relate to. 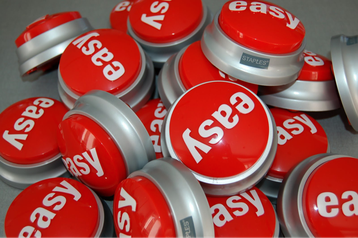 The “easy” button, isn’t that a novel idea? Now if I could just carry around a never-ending supply of them and apply them as needed, to any situation, person, assignment…well, you get where I’m going. So I decided that this had to be more than a notion or selling point to drive customers into stores. There is definitely something deeply and extremely satisfying about finding a solution to difficult obstacle that doesn’t deep fry and barbeque your sanity in the process; a solution that doesn’t exceed the already strapped bandwidth that is your daily grind. To what areas of your life can you apply an easy button? Below I'll share some tips I've come across in my journey toward structure (hint: it's never-ending). I know this may sound trite, but in the spirit of self-care (which is something we all need to schedule, because you know, life), let me free you from the shackles of busyness and usher you toward a less-hurried existence. 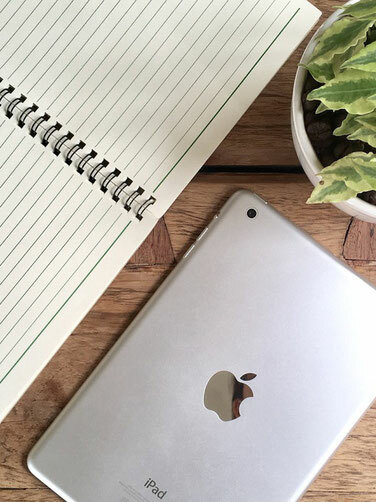 First things first, do you have a calendar or planner with your activities (family, personal, work, health, don’t forget fun) plainly listed so you can actually see what time you have available? If not, I would highly encourage you to invest in something- even if it’s a wall calendar that you can stick on your fridge. This will begin to help you account for your time, and help your overcome the urges to over commit yourself. Are you creative? Listen, these awesome DIY chalk boards take me out! Do a quick search for chalk board ideas for the home and see how functional they can be! Second, sit down with a few pieces of paper. Now that you have a bird’s eye view of your overall schedule, analyze your daily tasks. Divide your to-do list into sections. 1. What things have to be done now by you and only you? These are non-negotiable items, and you must determine what that means for you. Rank them in order of importance. 2. What things can I delegate to someone else to do for me? This is a hard one, because it’s hard to let people help us isn’t it? I have a tendency to want things done a particular way, which means I end up wanting to do it myself. NO! Take these items off of your to-do list forever…I mean it. 3. What things can you schedule to do at a later date? These can be items from either of the two lists; however, they get their own list because they do not need to be done immediately. For instance, gardening does not need to be done if you have a deadline to meet for a project. Yes, you may be looking at all the weeds overtaking your little plot of heaven on earth, but resist. A trip to Lowe’s can wait until you get that project done. Hopefully, these small changes can make your life easier as you implement them. Over time, you’ll notice that you have a bit more time and space for yourself and others. The whole point of the easy button is to give you time back, right? Who wants more time? Not just idle time, but the kind of time to sip a warm beverage without your mind racing in umpteen directions? Yep, I hear you dear sister, I do too. Let’s do this together.